The brand Tereza, which sells products developed by co-operatives of inmates and ex-inmates that are incubated by H360, has been participating in several charity bazaars and events. The objective has been to raise funds for new cooperatives and publicize the project, which aims not only to generate work and an income to inmates and ex-inmates, but also to change society’s perspective about the prison system and criminal justice, thus contributing to the reduction of violence. 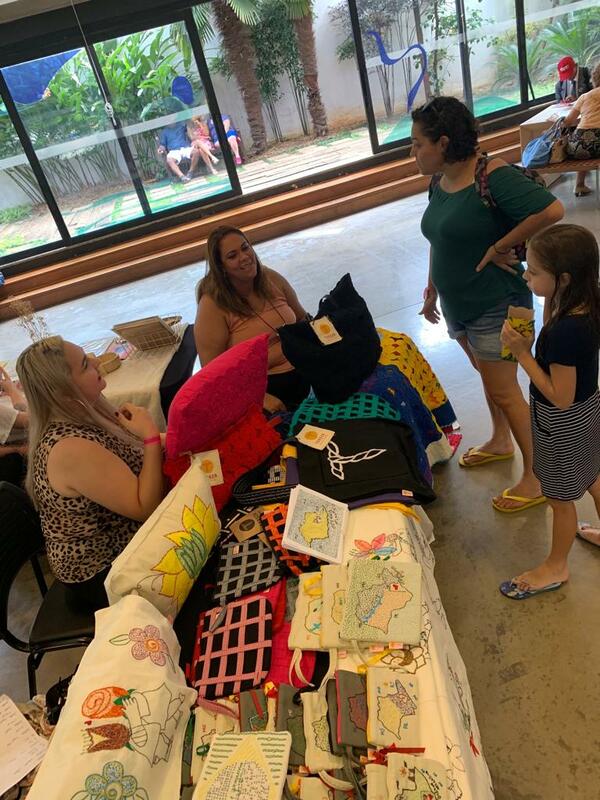 On the weekend of March 16th and 17th, Tereza products were sold at the Cartographic Market, which took place at Sesc Pinheiros in São Paulo (Brazil), during the Party Festival. Wallets, pillows, bags and totes with maps embroidered by hand attracted visitors’ attention, who were even more interested when they learned that the products had been made inside a prison. Gláucia Celsa Lima and Luana Bertholini, who became members of the co-operative while they were still inmates at the Women’s Penitentiary II in Tremembé, in the countryside of the state of São Paulo, and have now been released, continue to work at the co-op and participated at the festival. Proud of their work, they spoke with customers about their personal process of transforming their lives through the work at the co-op. “When we talk about our journey, all that we’ve been through and how we’re rebuilding our lives, everyone gets amazed and asks to take a picture with us,” said Luana.